There are many more types of crystals but this will give you a nice little tool box for yourself to treat the most common of issues that visit. You can purchase these on line. A couple of my favorite sites are: healingcrystals.com & http://www.innervisioncrystals.net. An even better way to purchase these gems is in person. In the Boston area I recommend: 7 Stars, Cambridge and Enchanted Fox, Medway. Also Kyle at Crystal Concentrics opens his crystal space in Arlington about once a month. When you go crystal shopping plan to spend a little time there, ‘trying them on’. First stand in front of the display, close your eyes and take some deep breaths. (Don’t worry about the staff thinking you’re crazy. In these type of stores they are used to this and are well versed in these methods of intuition.) Then open your eyes and see which 1 or 2 crystals are calling your attention. Pick them up one at a time and hold them in your hand for a bit, see how they make you feel. Try a few of each of the crystals that got your attention and then purchase your favorite either based on the color, size, shape, or feeling it gives to you. Practice being open and receptive and you will be drawn to a stone that will have meaning for you and will move you energetically toward whatever you need at this time. Wear them! Either put them in a little satchel in your pocket or tape them directly onto your skin. Women can wear them in their bras. For the latter make sure you’ve purchased smooth crystals. Wear them as jewelry! The 2 on-line sites and 3 store-front sites I mentioned above all sell crystal jewelry. Another fabulous crystal jewelry site is: Lunar Skye. 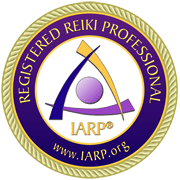 This is a company based in MA and owner Trish, a Reiki Practitioner purchases quality gems, makes each piece herself and infuses them with Reiki energy. Sleep with them under your pillow. Just that. So simple. Meditate with them. Just a quick 5 minute sit-down, holding the crystal(s). Tune into your breathing and then simply listen to what the crystal might be saying to you or how it might be making you feel. If you’re not used to tuning into your intuition or higher powers this may take some time. Keep at it. It’s worth it! Create Crystal Grids. A crystal grid is an arrangement of crystals in a geometric shape. There are grid templates that you can purchase but I just like to make my own designs and set it with what ever intention I have at the time. Place a stone center piece and then play with symmetrical arrangements around that. You can also write your intention on piece of paper and place it under your center piece. Try it, it’s fun! Use a Wish Box. One final way that I often use crystals when I have a wish or goal I’m working on is to write that down on a small piece of paper and insert it into a decorative box. Then I choose a crystal that I feel would help me progress in these areas. Just trust your intuition on choosing the stones. At first it is uncomfortable but soon you will ‘just know’ which crystals are ‘right’. Once chosen, I put a couple of that type of crystal in the box with the wish/goal and watch the magic happen. Whatever you do, do not just throw your crystals in your purse or stick them in a drawer or on a night stand. You must cultivate a relationship with them for them to do the most intense work. Like a relationship – you must feed it or it will dwindle and maybe even die out. Reiki Healing with Crystals – Come in for a 60 minute Reiki Healing with Crystals and experience the power of both! ($80.00) Make your appointment here. sCleanse your Crystals at least once per week and more often if you use them daily. It’s also a good idea to clear your crystal when you first get them. Crystals can gather energy from thoughts, touch, emotions, etc. so cleansing and recharging is important to keep your crystals working optimally. Play them some high vibe meditational Music. So if you choose to try using crystals to improve your health and wellbeing, let me know how it goes for you. As you begin to tune in to crystals and their vibrations you will become more aware of many additional vibrations around you. You will also likely want to learn more about Crystal Healing as you discover its benefits. There are many more ways to work with these Gems and many more gems available to assist you in your search for health and happiness. I will be happy to share my knowledge with you! Bring your crystals in when you come in for a Reiki or Life Coaching session and I will infuse them with some Reiki energy which will enhance their strength and healing power. *Disclaimer: Crystal Healing, Reiki & Yoga are intended to be used as a complement to traditional medical care or as a personal relaxation and stress-reducing tools. They are not a substitute for medical/psychological diagnoses or treatment. Book Your Reiki Session Here. How do you feel when you’re in your home environment? Reiki Clients come into my office for many reasons but one common denominator is stress reduction! We work together for an hour or 2 and they are feeling ‘blissed out’ when they leave. That feeling can last hours, days or longer but if you go home to a space that is toxic in some way you will not have a chance at maintaining that inner peace. It’s not about how large or posh your living space is but how high the energy vibration is. I understand this term ‘energy vibration’ is elusive and vague to some of you but it is most definitely real. You clearly feel the difference in the office atmosphere when the boss walks in, and think about the feel of the beach air vs. basement atmosphere. You get the point. Our environment effects us in many ways and there are easy ways to transform your home space to support your quest for calm and peace. Here are some of my top suggestions that clients tell me have made a difference and that I personally have positive experience with. Clutter effects our brains and our overall health. Dust and mold collect on this clutter and more symbolically it mirrors your inner workings! You don’t have to clear the whole house (although that may be a nice long-term goal for you) but at least have a small area that is free of debris! If you are a pack-rat or hoarder come in for a Reiki series and we will use Malachite to facilitate clearing and letting go. Top choices for cleansing are: English Ivy, Peace Lily, Florists’ Chrysanthemum, Variegated Snake Plant. All of these absorb toxins but any plant or flower will soothe your eyes, heart and soul so choose your favorites! Hang some things that inspire you or make you feel good. This can be in the form of quotes or images or something else more personal to you that reminds you of someone special and/or of the specialness of yourself. Take your pick. Any one will do. My personal favorite is Sandalwood – Very earthy. Sage. It is easy to grow your own in summer, dry it, bundle it and then burn away. Palo Santo or “Holy Stick” is a natural wood aromatic incense used for centuries by the Incas and indigenous people of the Andes as a spiritual remedy for purifying and cleansing, as well as to get rid of evil spirits and misfortune. as well as for medicinal purposes. For clearing the air toward tranquility my suggestion is Selenite. Place many wands of this crystal all around your home or quiet space. These gems do not need to be cleansed. Fill it with your choice of essential oils and enjoy how the natural fragrance alters the mood in the room. Use one or many to alter the mood of a room and clear stagnating air. Yep. Poison.They effect hormone function, reduce sperm count, have been linked to liver and breast cancer, diabetes, obesity, Autism, ADHD, and neurological disorders. I do not even know what to say about this. They are clearly poisonous. Just don’t! And if you must, take it outside and protect the air inside your home. This is not always possible, I am aware, but do your best because this discord can effect us negatively deep down to a cellular level. Sometimes when my housemate (who happens to be my husband) is misbehaving I tell him I must clear his aura and then I go all around him clinging my tuning fork against a clear quartz crystal. Ahhhh. Much better. Oh so pretty and reduces negative ions. Read here for more information. Hang or place a basket of some sore outside your home or just outside your own personal quiet area to remind you of issues you want to leave out side. You can even write these issues down on a square of paper and put it in the basket prior to entering the space. Let them go. Release your burdens! This is self explanatory. Take off your shoes before entering your main living area leaving the physical poisons outside and symbolically leaving all the worldly stresses out there as well. This does not have to be a traditional altar but just a little placemat, table or rug where you can place items that will assist you in gaining peace and clarity some of which have been listed above. Music-Here’s a sample track of peace inducing music. Certainly some part of it will please you. You can find more on You Tube by searching peaceful music or music for relaxation, etc. Why not try one or 2 of these ideas and see if they support your goal for experiencing calm? They are not too expensive, are easy to find/do and we all know that you are worth the effort! Reserve Your Yoga Mat Here.